Welcome to your Windows Phone weekly summary! Should you have somehow been absent for the past week, fear not as we've combined this daily news recap with the stories that appeared from MWC (Mobile World Congress) 2012. So strap in, hold on tight and keep your brew at hand as this is going to be a long one! Here at Mobile Nations (the umbrella of all our sister mobile news sites) we value our readers and any feedback provided. Should you be an active contributor at one of our communities, you'll want to take part in a survey we've got running that will enable us to further improve the on-site experience. It has also been Mobile Nations fitness Month where all mobile news sites have been tasked with showing just how smartphones (and technology in general) can help shake the Christmas pies and that unwanted bingo. Be sure to take a quick gander at our cross-community roundup. As well as the roundup, we've announced winners of our fitness month challenge (with the grand prize being a shiny new Xbox 360 and Kinect). Before we crack into the bottle of summaries, we have the big stories from MWC to chew through, so let's get started. We've been covering MWC from the front row, and as well as the serious business of mobile, our Dan got to enjoy the party held afterwards with the rest of the Mobile Nations crew. News! NVIDIA has worked with Microsoft to bring their Tegra quad-core GPUs to Windows 8 demos, and now the company has released a press statement detailing ARM tablets that are being sent to platform developers to get the ball rolling. Nokia CEO Stephen Elop took the stage to close up with an interesting talk on the ecosystem and what the manufacturer is (and will be) doing to help build up a solid foundation for both consumers with apps and developers with revenue streams (especially in emerging markets). Some other positive news came from Elop, including a positive outlook on T-Mobile Lumia 710 sale numbers "exceeding expectations". When both Elop and HTC CEO Peter Chou weren't giving the serious speech, both were taking slight humorous digs at one another. The official Skype for Windows Phone client has been released in beta, and we take a look at what's on offer. Nokia presented a PureView Symbian powered smartphone with a 41MP shooter, which is confirmed to be coming to Windows Phone - we also got the chance for some hands-on action. The emerging markets targeted Lumia handset was unveiled for those with tighter budgets - the Lumia 610 - as well as the Orbit from ZTE. 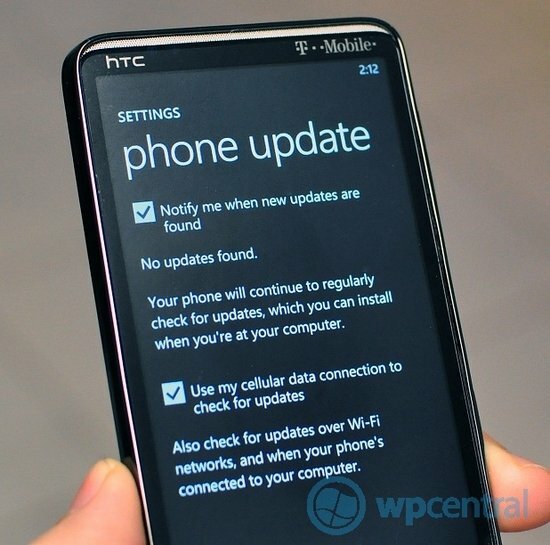 That's MWC 2012 in a nutshell, time for some general platform news. Thurrott has gone over his original Windows Phone review with the news of carriers being able to block what updates they wish; leaving consumers up to dry until updates are finally pushed out. The Canadian carrier Rogers has announced that they're expanding their LTE coverage to St. John's. This news may seem ironic to some, but it seems as though Windows Phone (sporting Internet Explorer) is the only smartphone OS that's immune to a webkit vulnerability. Nokia and the Bing team have revamped their maps with a new colour palette, making the experience much easier on the eye with icons and attractions dotted on the interface. Three UK are looking to roll out DC-HSPA on the network before they open up LTE 4G trials. Lastly, we take a look at the browser marketshare for the platform, which is still on the steady increase path. Onto gaming and we have The Sims 3 as the Xbox LIVE Deal of the Week again. PlayPhone, a popular cross-platform gaming social network, has announced support for Windows Phone at MWC. It'll be an interesting addition to Xbox LIVE with already covering Android, iOS, HTML5, Adobe AIR and Unity. Toy Soldiers: Boot Camp (an XBLA companion title) has been released on the Marketplace. We take a look at revealed screenshots and video (plus some concept art) for the highly anticipated Episode 2 of Sonic the Hedgehog 4. Are you fed up with touch being used as input for games? How about voice activation? Introducing Pah!, a title that is already available on both iOS and Android, which you control by your voice. Minesweeper and Sudoku have both been updated with Mango features, while Zombies!!! receives an update containing a ringtone. The title will also be sporting PDLC soon with more Xbox LIVE achievements! Upcoming Japanese-developed bullet manic Xbox LIVE games DoDonPachi Maximum will be arriving within the next few days, and our beloved Doodle Jump closes off the gaming recap by hoping onto the Xbox 360 with Kinect support. An official Goal.com app for Windows Phone has been released, while Nokia has taken up the task to develop an Atlantic Coast Conference (ACC) solution. GroupMe has returned to the platform with an improved app, while the team behind the Carbon Twitter client has released version 1.2. We also get hands-on experience with the Nokia Transport and Reading apps. Both Kik and WhatsApp have been updated, bringing yet more improvements to consumers. Should you be a massive fan of Ask Ziggy, you'll be pleased to learn that the app has been revamped. To close off our software section is a Homebrew Windows Phone Marketplace being introduced to all custom ROMs. The Nokia 610, a cheap low budget Windows Phone, features some interesting specifications including Gorilla Glass. We follow retailers who are putting product pages up for the handset and labelling the 610 ready for pre-order. You're in luck if you're from the UK with Unlocked Mobiles, or Germany with Getgoods. Nokia is offering free Xpress covers for any purchased T-Mobile U.S. Lumia 710, but be sure to get your claim in before March 31st. Speaking of the 710, Vodafone UK has a superb offer for the handset active. You can pick one up for £150, which is accompanied by a 6-month Zune Pass. Moving onto the 800, there's an upcoming ROM update that's floating around, which should include more fixes. TELUS has the 800 listed on contract from just $49 and is available in black at Vodafone AU. According to Mobile Fun, the website is reporting 'accurate' release dates for both the Lumia 610 and 900 for the UK. The 900, which is heading for Rogers, gets priced on the carrier. If you're interested in something unique, how about "The Dark Knight". If you're waiting to get your paws on the 900, take a look at our hands-on coverage. 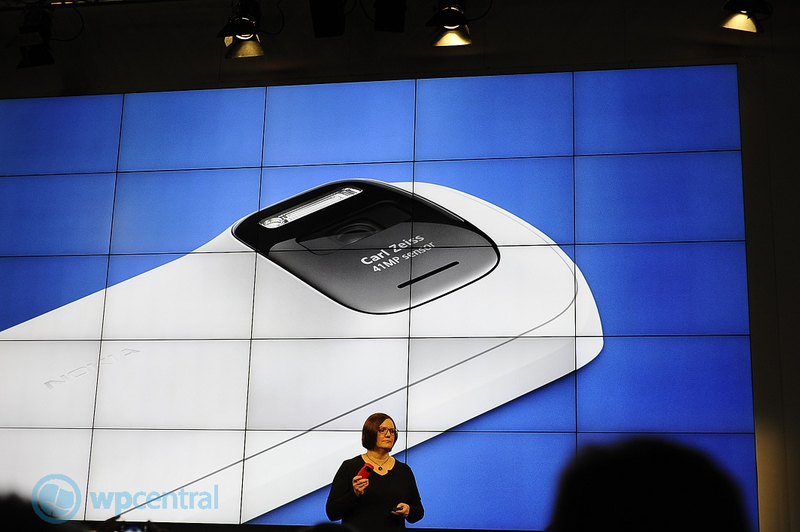 As well as Nokia, there are other Windows Phone OEMs of course, and ZTE took a moment to show off the Orbit. Closing up shop is the rumour of Sony brining a device to the table. What do you do should you notice a hovering Lumia 800 recording you? If you're in The All Blacks then the only choice is to take it down with an accurate throw of course! Winners of the four signed Tinchy Stryder Lumia 800s competition have been announced, and we have an idea as to just how the signing looks on the stylish Windows Phone. Remember the "smokedbywindowsphone" campaign that originally ran back at CES? Looks like Microsoft is looking to move the marketing campaign onto the big screen. Moving swiftly onto developing goodness - our Matt runs us through a detailed editorial of how some services provide the means for 'crapps' to be created and pumped onto the Marketplace with little coding requirements. Amidst all the MWC coverage, the Windows Phone team announced further expansion to include 23 more markets and an update being applied to the emulator. There have been close eyes watching how the news of low-end 'Tango' handsets will not be able to run some apps and will be stripped of certain features (such as background tasks). Developers have been contacted should their app be too memory intensive for the 256MB RAM sporting hardware. Nokia is giving developers (who are attending of course) the chance to have their app showcased at SXSW in the Nokia Lab on March 12th for an entire day. The lab will be housing latest Lumia hardware with a number of app demos. If video editing isn't your thing then the toolkit that Nokia is providing developers will enable you to create marketing content with less effort and knowledge. Marios Karagiannis walks us through the reasons as to why he prefers to develop for Windows Phone over iOS, Android, and other competitors. Skype Windows Phone app hits Beta! Nokia is offering free Xpress-On covers for your Lumia 710! Release dates for UK Nokia Lumia 900 and Lumia 610 revealed? Screenshots emerge of 256MB app limit on Windows Phone "Tango"